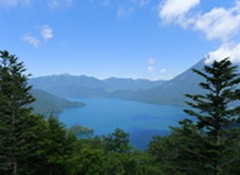 Dominated by the spectacular UNESCO listed monuments of Nikko, Tochigi is no stranger when it comes to the world stage. Attracting an ever growing number of visitors annually to what is fast becoming one of Japan’s most iconic destinations; this prefecture easily represents the single best reason for leaving Tokyo. 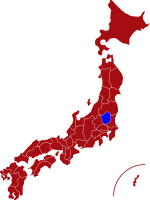 Tochigi is located about 100 kilometers to the north of Tokyo and can easily be enjoyed as a day trip or as part of a prolonged trip. Sitting amidst a beautiful landscape crisscrossed with volcanic mountains, crystal clear crater lakes and vast areas of wild open marshland beaming with unique vegetation and wildlife. Visitors will soon discover that this prefecture is like a compact version of Japan. Offering a wide range of historical, cultural and natural gems Tochigi is just waiting to be discovered. 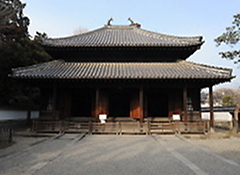 For most visitors the first point of call will be the ancient city of Nikko famous for its colorful temples and shrines which were built by Tokugawa Leyasu, the founding ruler of the Tokugawa Shogunate. Although beautiful anytime of the year, this area is particularly popular in October for visitors coming to see the vibrant autumn colors. 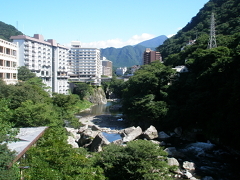 Within a stone’s throw of Nikko is the hot spring resort of Kinugawa Onsen. Situated along the banks of a large river, this area is perfect for enjoying a hot soak whilst relaxing in a traditional Japan inn and soaking up the unique atmosphere which this small town provides. For the more adventurous travelers, the volcanic peak of Mount Nasu-dake has a wide range of spectacular hiking courses offering some spectular views of the dramatic landscape. Alternatively, further south is the excellent Ashikaga Flower Park which is becoming one of Kanto’s top winter attractions. Famous for its different varieties of wisterias, this park’s colorful illuminations are just the thing for brightening up the cold and dark winter nights. After spending several days in Tochigi visitors will soon realize there is so much more to this fabulous prefecture beyond the fame of Nikko. For more information about Tochigi prefecture, see their official tourism website. Rail - Both Nikko and Kinugawa Onsen can be accessed from Tokyo’s Asakusa Station via the Tobu Line in a little less than two hours. Other areas can be easily reached by JR mainland lines. 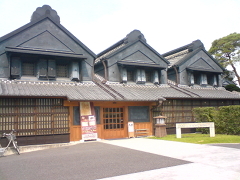 Ashikaga School is the oldest school in Japan dating back over 1000 years. The school was designated as a historical national asset in 1921. Kinugawa Onsen has a long history dating back more than 300 years and is one of the most popular hot spring resorts in Japan.